Albert Borella was presented a Victoria Cross by King George V on in September 1918. 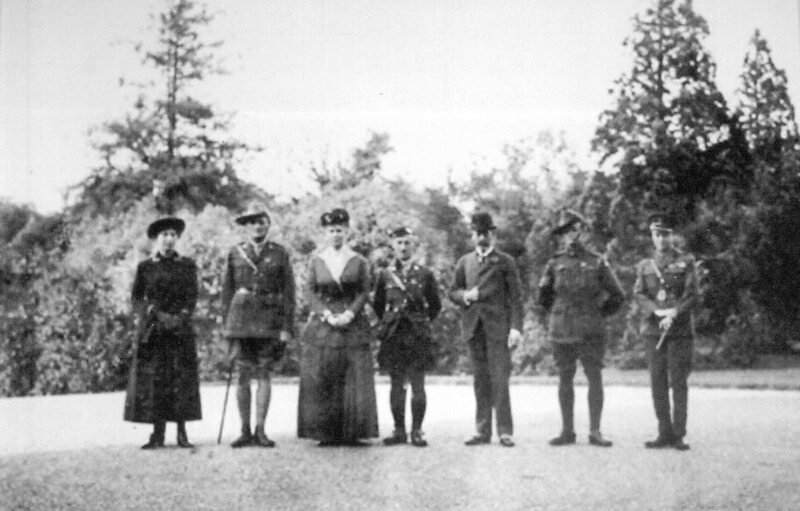 He is pictured here, second from the left, with Her Majesty Queen Mary (third from left), His Majesty King George V (third from right) and the Prince of Wales (far right). Source: The Australian War Memorial. The Victoria Cross is the highest decoration that can be awarded to any serving members of the British and Commonwealth armed forces. It is the most honoured and coveted award, only given to those with courage and daring who have performed an act of valour or self-sacrifice or extreme devotion to duty “in the face of the enemy”. Created by Queen Victoria in 1856, and made retrospective to cover the Crimean War, The Victoria Cross has only been awarded to 100 Australians, some of those posthumously. Recipients are entitled to use the letters “VC” after their names. The Victoria Cross medal bears the inscription “For Valour” and is cast from the metal of cannons captured during the Crimean War (1854-56). After melting the bronze metal from the guns, the rough cast Crosses are then individually hand finished. There is sufficient metal still for a number of new medals to be cast from these cannons. The bar, decorated with laurel leaves and bearing a ‘V’ from which the cross hangs, is cast separately. The Victoria Cross was awarded to armed forces from countries across the former British Empire. More recently, Canada, New Zealand and Australia have created their own version of the Victoria Cross, based on the original medal. Out of these 100 Victoria Crosses, four were awarded to Royal Australian Air Force members. The Royal Australian Navy has not yet received a Victoria Cross, mainly because military action involving ships often means the loss of the entire ship, with few witnesses alive and able to describe the events within a set time period for the Victoria Cross award process to be set in motion. Albert Borella was awarded the Victoria Cross by King George V at Sandringham Palace, in early September 1918. His age, 36, made him the oldest recipient within the First Australian Imperial Force. 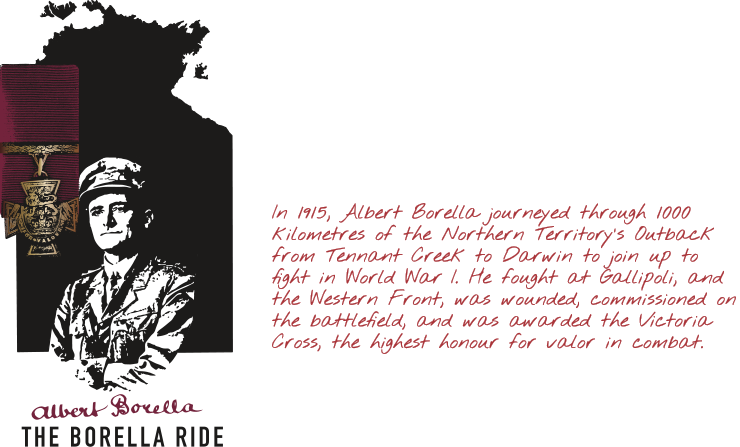 Borella’s Victoria Cross was the only one awarded to a soldier from the Northern Territory during World War I. It is 1 of 11 Victoria Crosses that are currently held in private collection.